I come bearing another edition of On the Shelf, a feature where I talk about the books I’m currently reading or have recently finished. 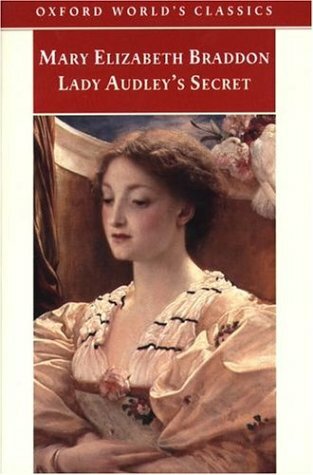 We finished discussing Braddon’s popular novel in my Victorian Lit class this week. The story is thrilling, filled with masked identities, bigamy, and hidden crime. It’s a fast-paced story for its time and has some fantastic characters–the energetic Alicia, passionate Clara, and lazy Robert. The title character is a gorgeous mastermind who will stop at nothing in her pursuit of a better life. Braddon presents a complex argument regarding law, crime, and gender. Is it a feminist novel? It easily could be. You’ll have to read it for yourself to find out! The windows winked and the flight of stone steps glared in the sunlight, the prim garden walks were so freshly gravelled that they gave a sandy, gingery aspect to the place, reminding one unpleasantly of read hair. Sorry, redheads. Braddon doesn’t seem to like you very much. I’d label it weakness, not insanity. When I enter a well-crafted world and become attached to its inhabitants, there’s no stopping me. I become a rabid book breather and do not stop until I hit the end. The thing about Maxwell’s series is that, like many fantasy novels, they aren’t literary. The characters aren’t super original and there are gaping plot holes. Too many convenient things happen for it to be completely believable. But the series is FUN! As far as pleasure reads go, it’s top-notch. The world was so compelling that all its faults are forgotten. I ‘d go so far as saying I adore the book’s universe. The Tingarian Empire is diverse, historic, and well-planned. The magic in the series, based on runic lore fueled by a deadly magical liquid called essence, is compelling and fantastic. What I loved about the series is that there is never a dull moment. The pacing is quick, bringing us from one battle to the next. Yes, the characters aren’t super original, but they won my heart. I found myself rooting for them as they faced incredible odds. Each book was more dynamic than the next, and the finale in the fourth book was splendid. In this epic new work, the award-winning Kenyon creates an alternate 19th century with two warring continents on an alternate earth: the scientific Anglica (England) and magical Bharata (India). Emboldened by her grandfather’s final whispered secret of a magical lotus, Tori Harding, a young Victorian woman and aspiring botanist, must journey to Bharata, with its magics, intrigues and ghosts, to claim her fate. There she will face a choice between two suitors and two irreconcilable realms. I found this book via Kindle’s Daily Deal option. It’s my gym read and, so far, has succeeded in taking my mind of the pain of the elliptical machine. I’m not overly invested in the characters yet and still don’t know how I feel about the story. But the world is intriguing. 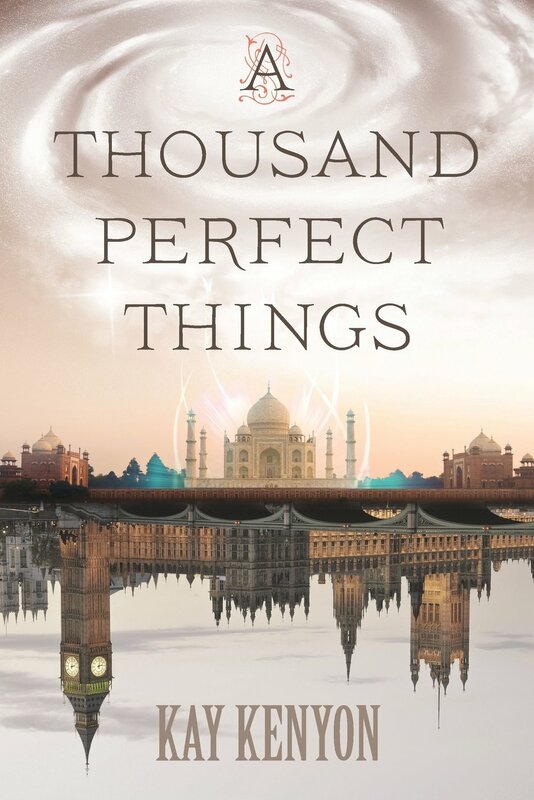 I love the idea of an alternate Victorian period where England represents cold, hard science and India embodies magic and mystery. I’m excited to see where it goes! Starting this weekend, I’ll be delving into the massive Victorian chunker, The Way We Live Now by Anthony Trollope. I’m also hoping to start The Jane Austen Book Club by Karen Joy Fowler.